to all the people living in poverty. 'Cause when it comes to feeling pressure. None of them don't feel it like we. Now dem no know 'bout pressure. Dem no feel it like we. Dem no know 'bout pressure. 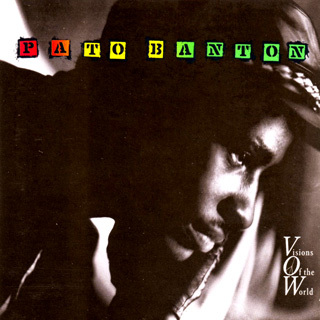 Well now is I man Pato Banton. And I man Daddy Tippa. We a chat pon microphone. Well as two blood brother. 'Cause we born in a the ghetto. With we mother and we father. Well I live in Birmingham. But is how we get together. Some of them a wonder. Rich man a catch plane. Well this lyric ain't no joke. 'Cause what we're gonna chat. 'Cause a whole heap of people. And a whole lot of families. Well dem a dead fe hungry. Dem a fight to be free! And free like the fishes. But this is not our country. 'Cause we're a part of the ethnic minority. Now we a go send this lyric to the Iron Lady. And the whole of the conservative party. About 4 million unemployed in our country. Man a get redundant through machinery. Now living in the ghettos it don't easy. We have to try a little hustling fi make some money. That's why we don't blame a man fe sell sensi. And we can see why certain man dem a commit robbery. 'Ca' the dole and [social] security just don't ready. and me feel it fi the young. And me feel it fi each and every family. Because dem nar spend no money on the community. Dem just a spend dem money pon nuclear energy. From my point of view they must be getting ready. The rich will be safe and also Maggie. The queen and the whole of de royal family. Dem a go catch a space ship and leave de country. Dem a go live pon the moon and have space babies. But what about Pato and Tippa Irie. And the other 60 million people in the country. Dem no know 'bout pressure!